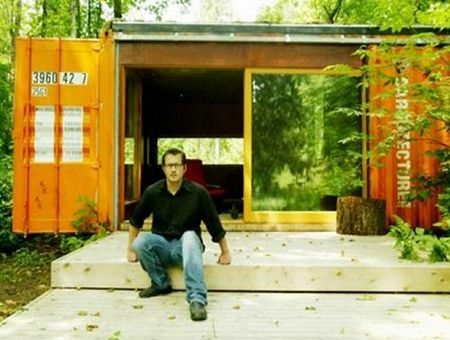 Long before container homes arose to their trendy prominence today, Joel Egan founded Cargotecture, a construction and design firm specializing in creating homes from recycled shipping containers. Since 2003, the Seattle company has been completing site-built and factory-built designs. 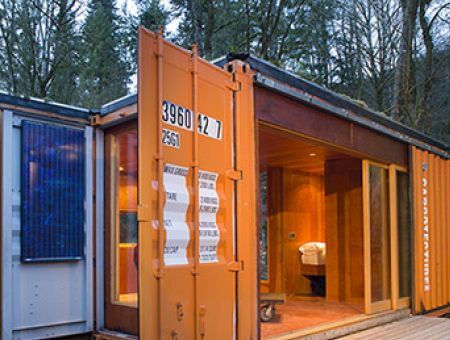 Although the tiny home movement is now a popular trend, Egan remains true to his method of merging sustainability with smart structures that play on the five senses. 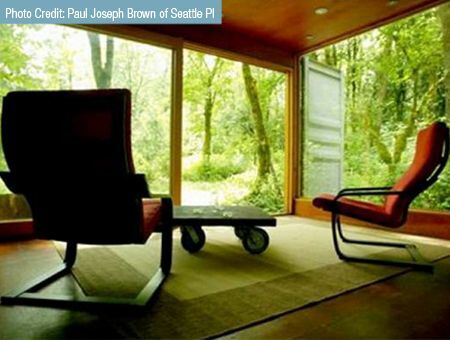 The c320 Lookout is a Seattle retreat situated on the fringes of a large farm. It came into the spotlight after being featured on HGVT's "Small Space, Big Style" and "Some Assembly Required." The owner uses the off-the-grid cabin as a quiet respite from everyday life and to house his out-of-town guests. Many sustainable features have been integrated into the structure. 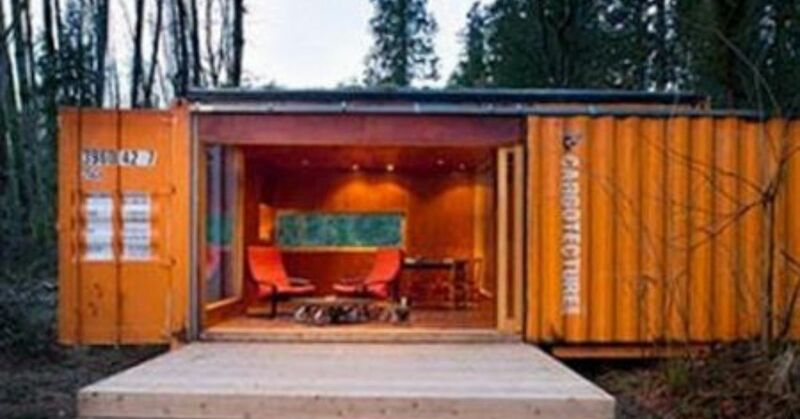 Built from recycled containers, the decking was milled from wind-felled trees, and the foundation uses recycled steel. 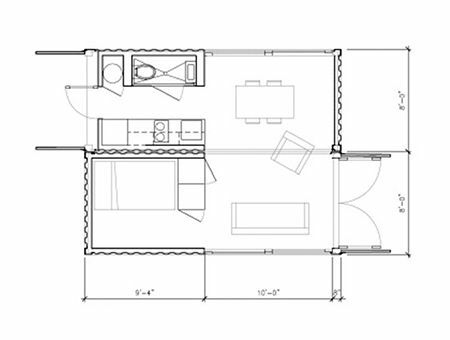 The floor plan reveals the interior layout, which includes a bathroom with toilet and sink, kitchenette with sink and stovetop, dining area, living space with room for seating and a private bedroom with full bed. Outside, a roomy deck offers a place to enjoy the nature surrounding the property. The best feature of the home is its full-size windows. While still offering protection from the elements, the windows bring the outside in — right from the living room. All Cargotecture models are insulated about 15 percent above IBC and UBC building codes in the floors, roofs and walls. This allows the buildings to be suitable for placement in any climate. 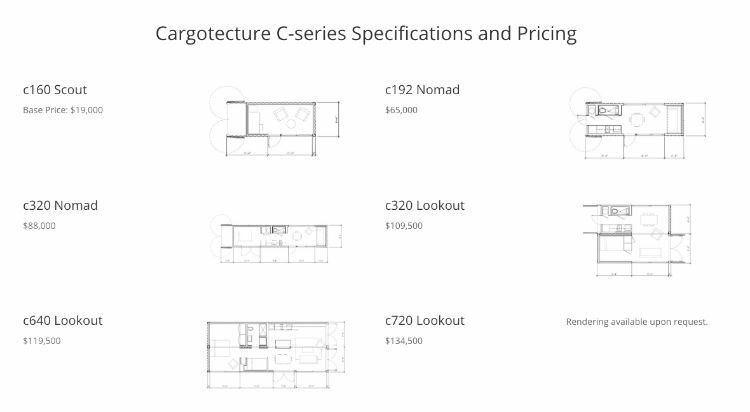 The c320 Lookout model's construction price is just over $100,000, while other additions, like roof decks, awnings and green roof gardens, can be personalized for each home.